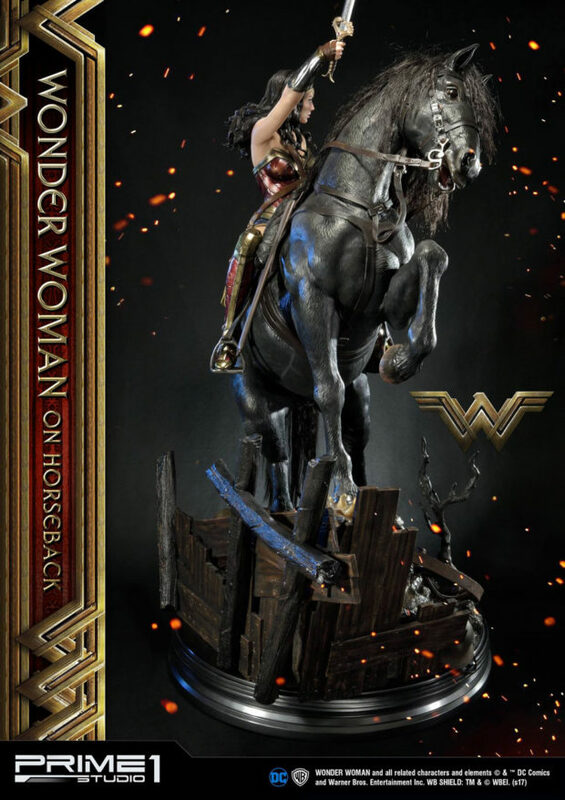 With the success of the Wonder Woman movie, we’re finally getting some good premium collectibles based on Princess Diana. 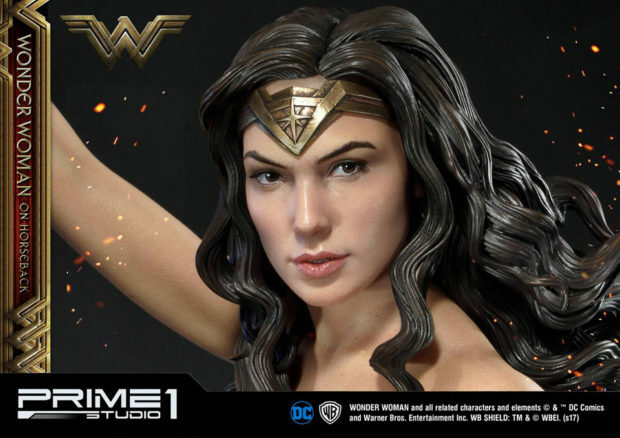 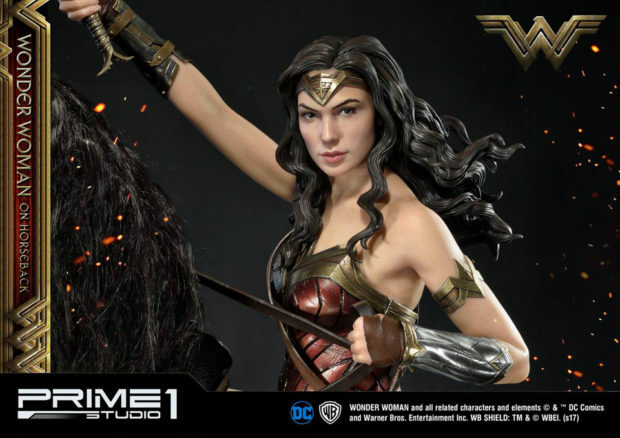 Prime 1 Studio’s take on Gal Gadot is so much better here than on their Batman v Superman statue. 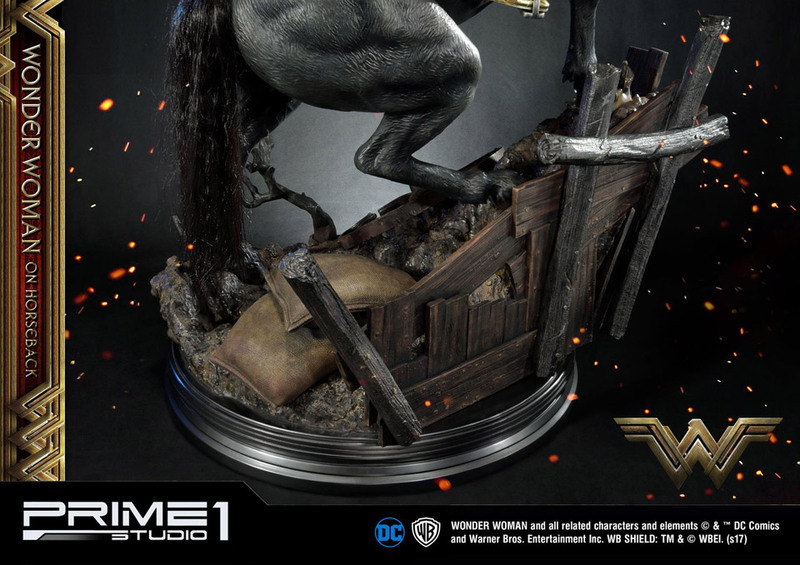 They should send replacement heads to the poor folks who bought that one. 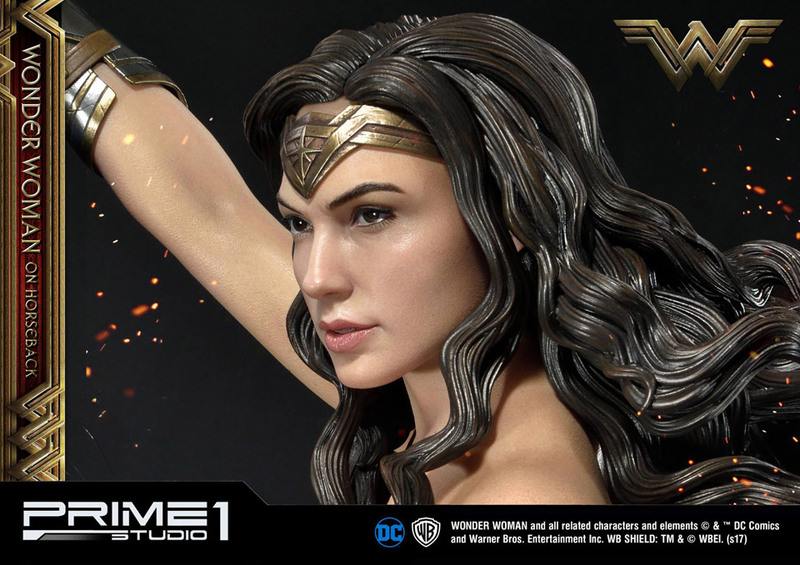 The statue stands 54.3″ tall (up to the tip of her raised sword) and comes with an equally detailed base. 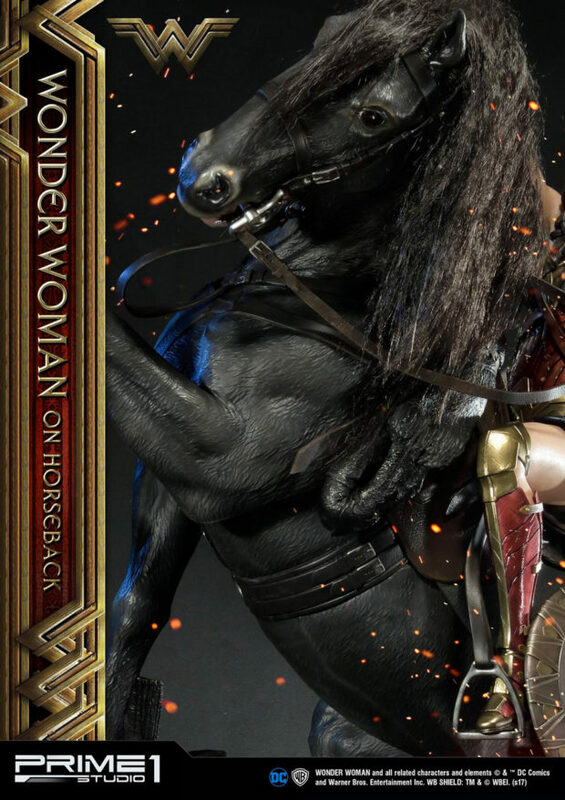 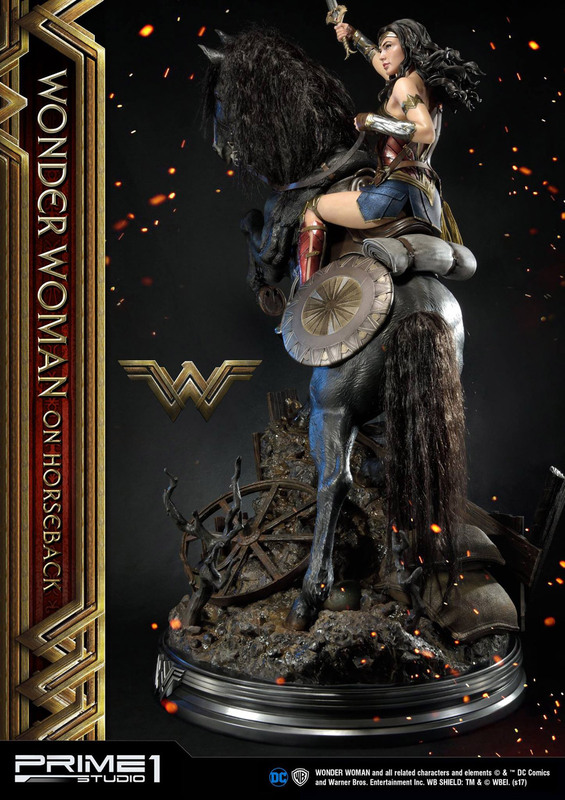 My only complaint against this statue is the horse’s faux hair mane and tail as well. 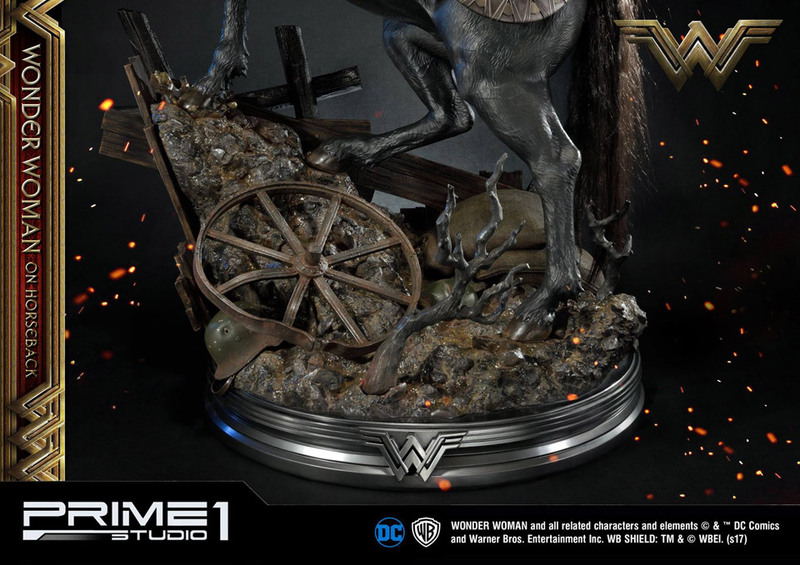 They look lame compared to the rest of the statue. 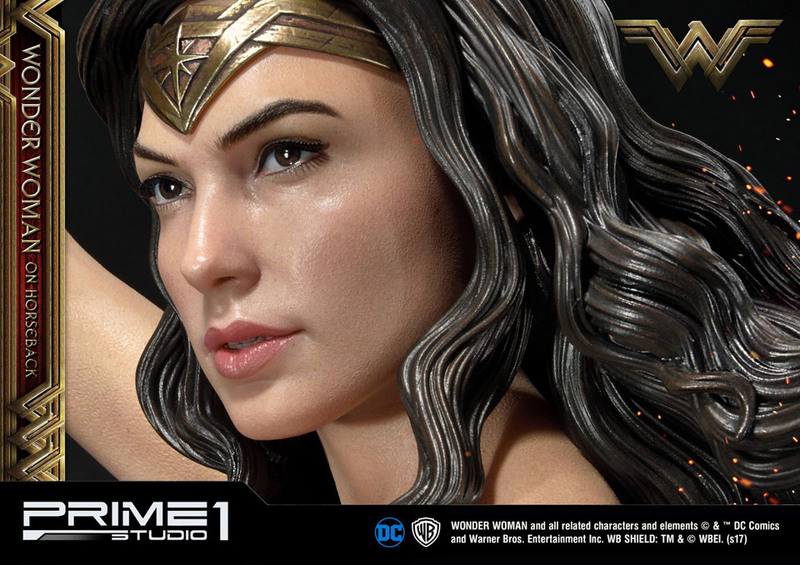 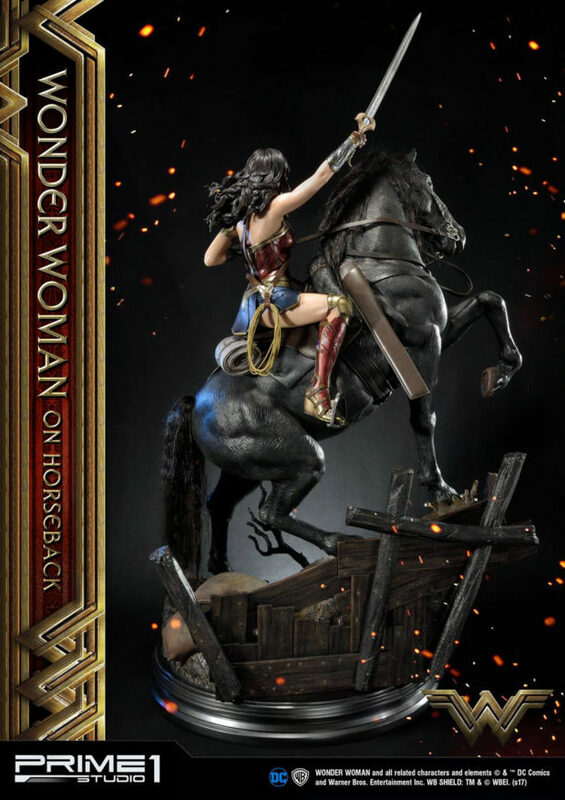 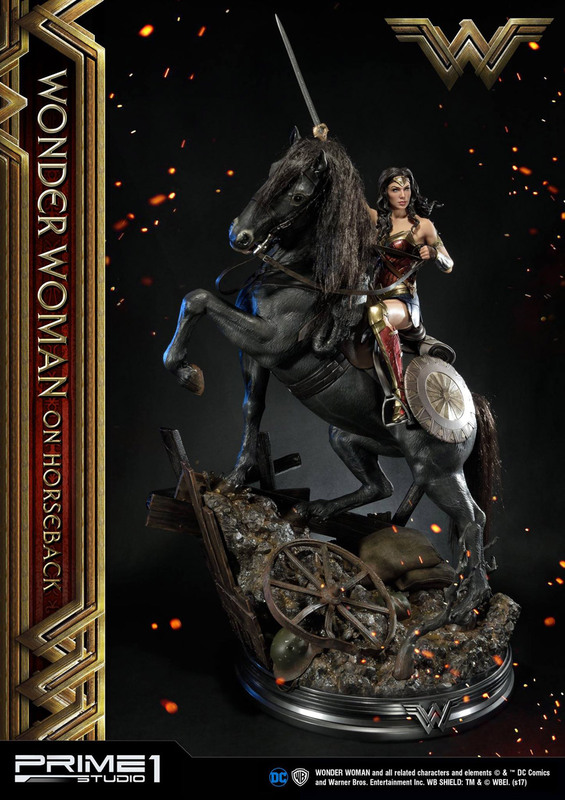 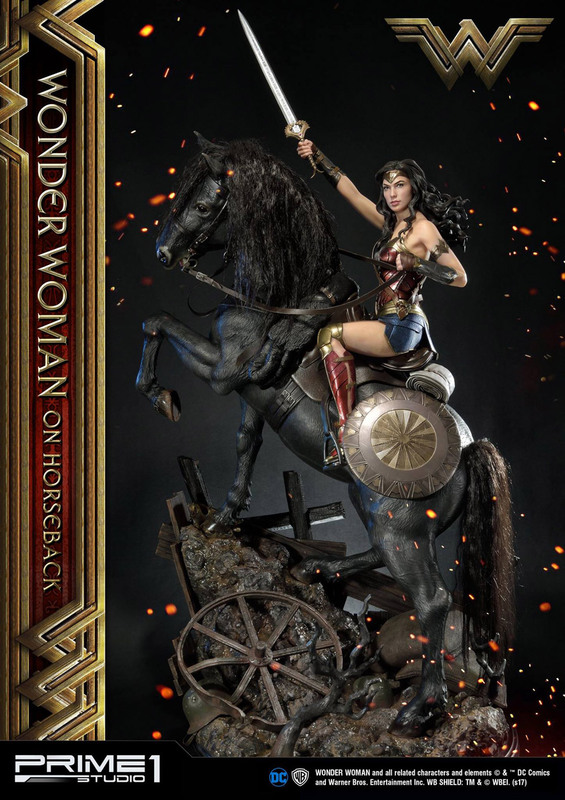 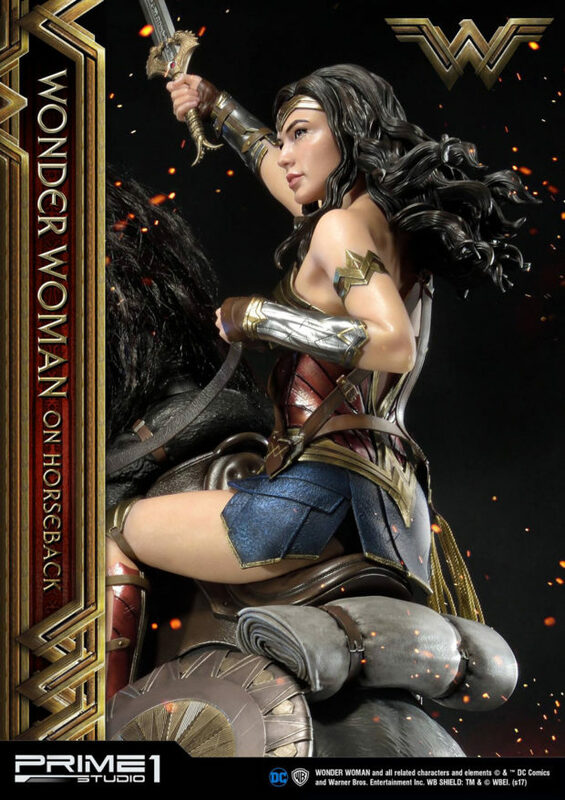 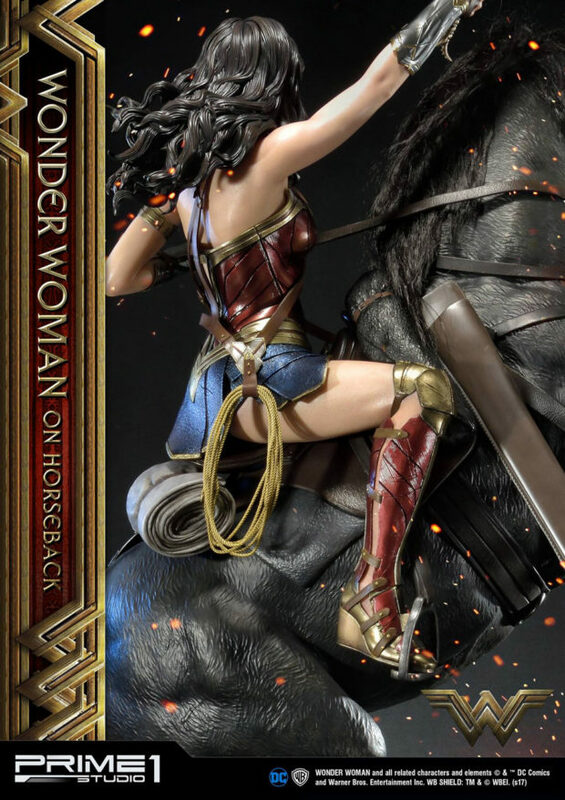 You can pre-order the statue from Sideshow Collectibles for $3,599 (USD).